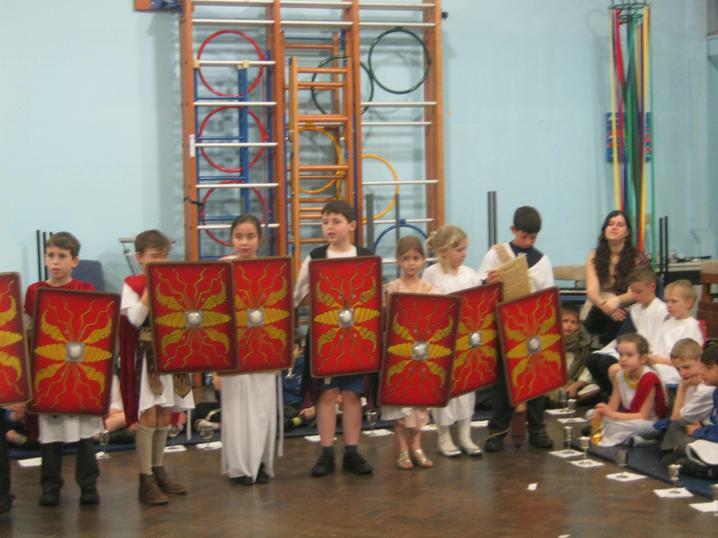 We have well and truly dived into our new topic, the Romans, this week. 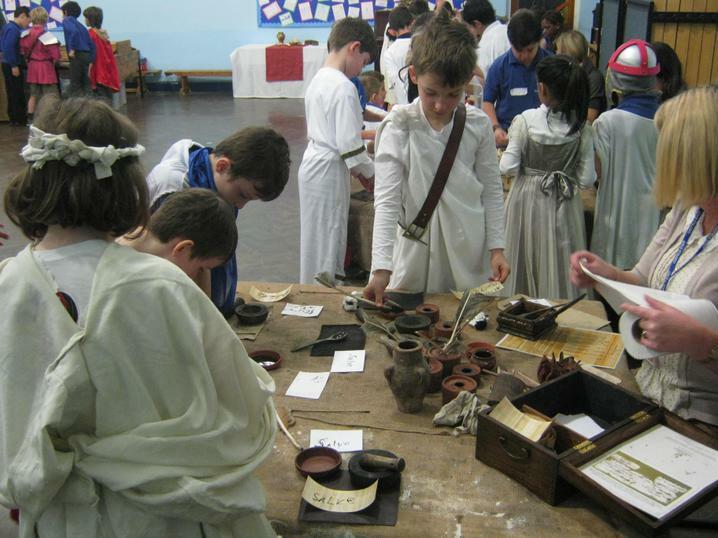 On Monday, we looked at some artefacts from Roman Britain and thought about what we would like to find out about this term. On Thursday, we had an especially exciting day! 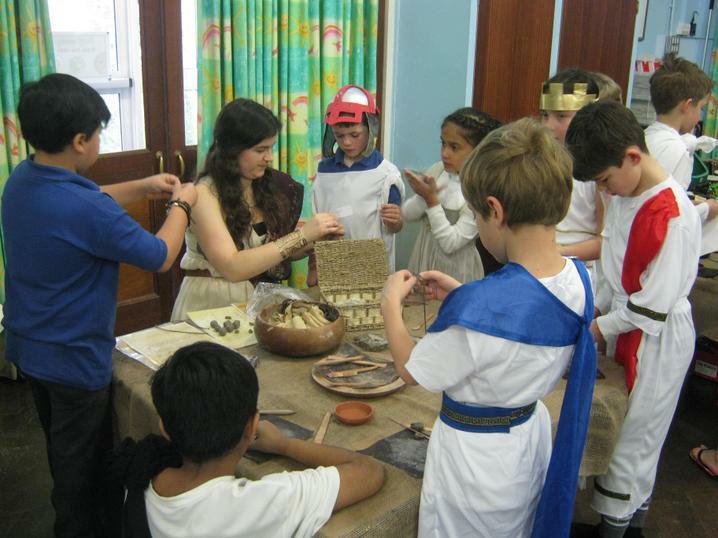 We all came to school dressed up as Romans and spent our morning trying out different Roman jobs. 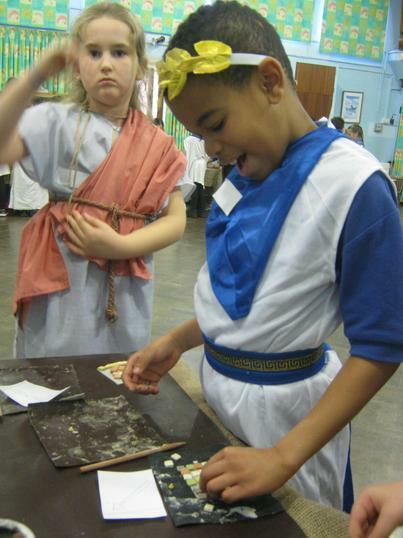 We learnt how to make herbal Roman remedies for remedies for baldness to bruises; oil lamps run on hand-pounded olive oil, Roman mosaics, wax tablets and ink, to name a few! 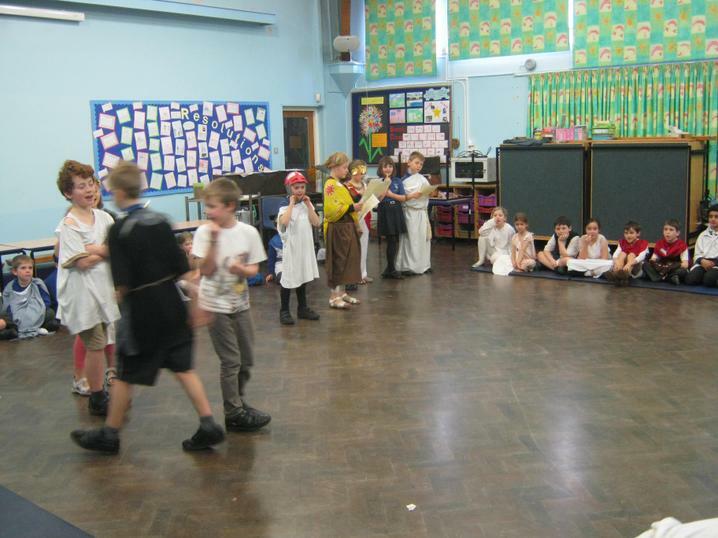 In the afternoon, some of us were chosen as slaves. 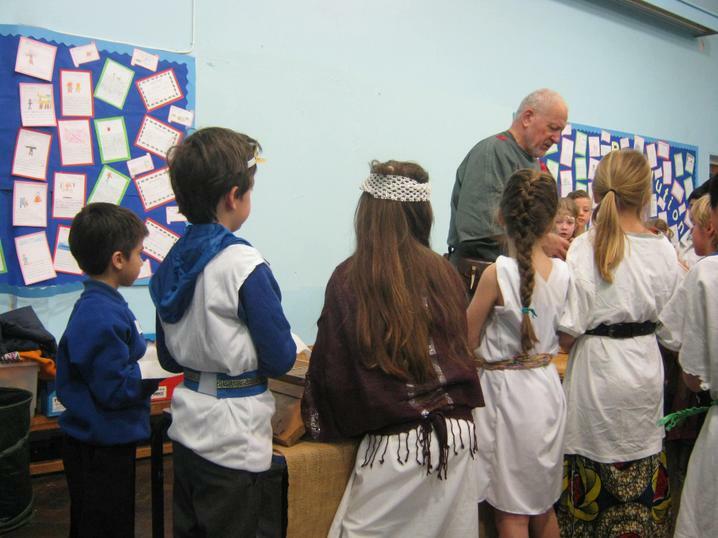 We had to serve everybody else a Roman banquet of bread, feta and grapes. The year group was divided into 3 to provide the entertainment for the banquet. 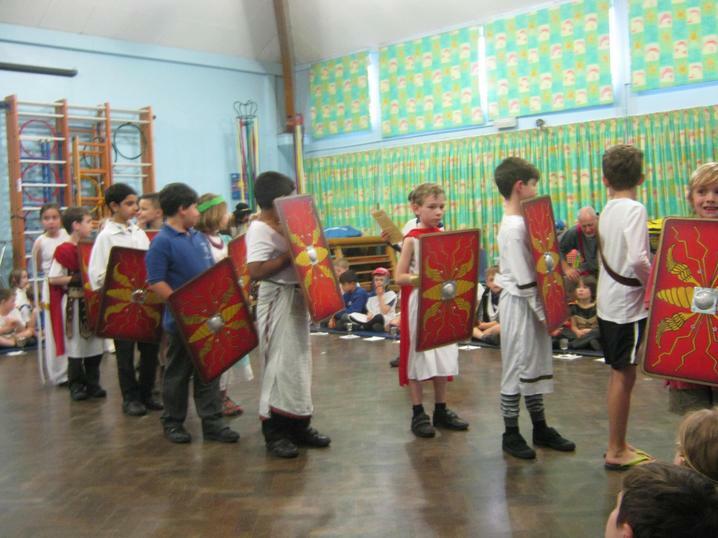 Some of us performed a dance, some a play and the rest learnt Latin so that they could practise moving into different military formations. There are some photos at the bottom of this page. We are all really excited about this topic, and are looking forward to learning more about it next week!